Critics call it a travesty of due process – an inherent violation of constitutional rights. Asset forfeiture has nonetheless become a standard police tool, albeit one that makes police appear to be bounty hunters. In many Oklahoma counties, seized assets pay a significant portion of county prosecutors’ payroll. Abuses are rampant. Even when conducted according to the law, the civil forfeiture process reduces property owners to “claimants” who must overcome the state’s effort to prove a person most likely has no right to their hard earned income. Typical horror stories tend to feature a hardworking person traveling to buy or sell a vehicle, cash in hand. Police stop the traveler on allegations of a minor traffic violation, but don’t write a ticket. During the course of their stop, the driver is asked pointed questions about his destination and why he’s traveling. He answers honestly, unaware of the trap he’s fallen into. Yes, he tells the officer, he has a few thousand in cash in the glove compartment. That’s the last he’ll see of his cash. Even when presented with evidence of how the man legitimately got the money, police may refuse to return it. They can wait as long as a year before filing any legal document that would allow the rightful owner to “claim” the seized money. If nobody steps forward to make the claim, prosecutors can appropriate the cash to be shared with police. In many civil asset forfeitures, nobody is ever charged with a crime. Yet the threat of wrongful criminal prosecution discourages many who’ve had their money seized from filing a claim to recover the cash. 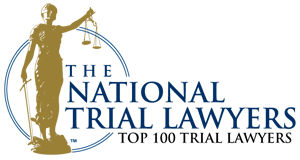 The opportunity for law enforcement extortion arises, in which authorities may offer an out-of-court cash settlement in which seized funds are forfeited under threat of criminal prosecution. When the government seizes your assets, you have legal rights. Although Congress, the legislature and the courts have tilted the table in favor of prosecutors who seize cash based on police hunches and presumptions, the law still provides protections for the honest citizen. In various cases, the Supreme Court has decided civil forfeiture of assets related to alleged criminal activity does not constitute double jeopardy, but that it can comprise a due process violation or an excessive fine. In addition to Constitutional protections recognized through case law, there are state and federal laws that spell out procedures that must be followed when public officials can seize your cash or property. Although most asset seizures involve allegations of illegal drug activity, prosecutors have also attempted to seize cash, vehicles and other property in connection with allegations of prostitution, drunken driving and financial crimes. In each case, if the seizure is conducted outside of a criminal proceeding, you’ll need to go to civil court to get back your property. 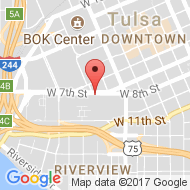 You’ll have the best chance for prevailing in civil court when you are represented by a Tulsa asset forfeiture attorney. Unlike criminal matters, when the government seizes your cash a court is not obligated to appoint an attorney if you can’t afford one. Some laws however, do allow “claimants” to ask the courts to release a portion of seized funds to pay for legal costs associated with the claim. In some cases, courts may award attorney fees to a person from whom the government seized money without good cause. 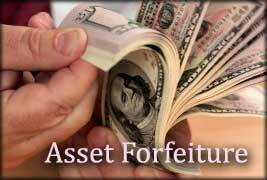 If you the target of a pending civil asset forfeiture, contact the Tulsa asset forfeiture attorneys at Wirth Law Office today to find out what you can do to get your money back. The call is free and there’s no obligation. If you are concerned about your ability to retain an attorney after police have seized your money, talk to us about alternative fee agreements. For a no-cost, no-obligation consultation with a Tulsa asset forfeiture attorney, call the Wirth Law Office today at (918) 879-1681 (or toll free at (888) Wirth-Law) or submit the question form at the top right of this page.